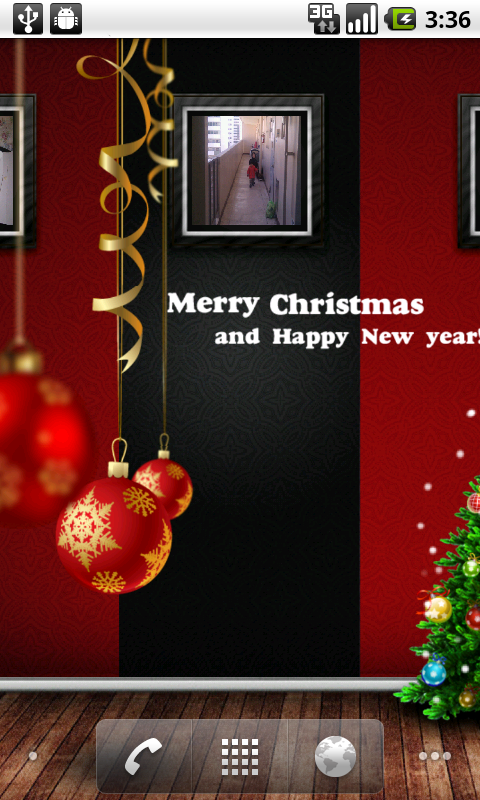 Wish you a merry Christmas and happy new year ! 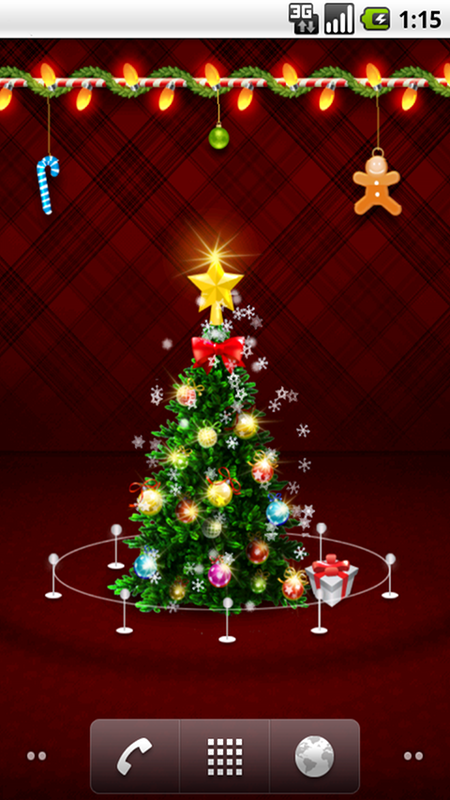 Christmas Live Wallpaper FREE released. 크리스마스 배경화면 무료 버젼 입니다. Following site is made to share RSS feed across mobile apps. First app working with this is GPS HUD. You can enter RSS feed URL to "Add new rss" input box then after validation, the rss is shared and shown on the app's rss list. Invalid or closed RSS feeds are deleted without prior notice. Procees to link below to add your favorite RSS feed. RSS 피드를 모바일 앱 사이에서 공유하기 위해서 만들어졌습니다. 첫번째 앱으로 GPS HUD에서 RSS 공유기능을 지원합니다. "Add new rss" 입력란에서 RSS 피드 주소를 입력하면 유효화 검사후에 해당 주소는 공유되며 어플에서 볼 수 있습니다. 운영이 중단된 피드는 공지 없이 지워질 수 있습니다. This blog post will be updated more upon your request. Here are examples of schedule setting. I'd like to programming the hours i don't want to disturb me. For example: from 0:00 to 07:30 and from 16:05 to 20:55. The first for all week and the second for monday to friday. Add 0:00 start time and duration 7:30 for each week days, 4:05pm as start, 4:50 as duration. Weekly schedule is intended for the simple use case where the user needs just a no disturb time span a day. Use add recurring schedule if you need more than that. Setting the automatic schedule so it can turn on is challenging at best can you please send me some directions as to how this works I try to set mine from 9 p.m. To 6 a.m. The next day and the message I get is the start time has to be before the end time it makes no sense to me help! 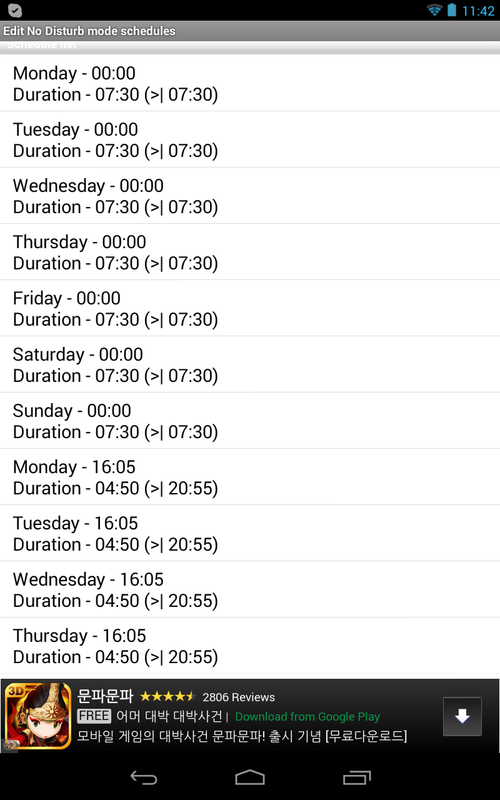 You can use recurring schedule by turning off weekly schedule and then set a schedule from 9 p.m duration is 9 hours. 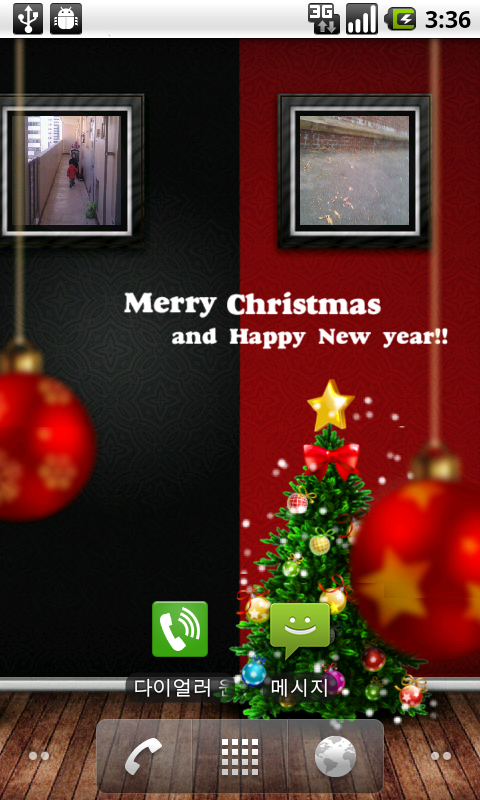 The time span stands for the period which the phone will go to NoDisturb mode. Below illustrate for your information, Only Monday's schedule was added but you can add rest of week days just as the same way by changing weekday.